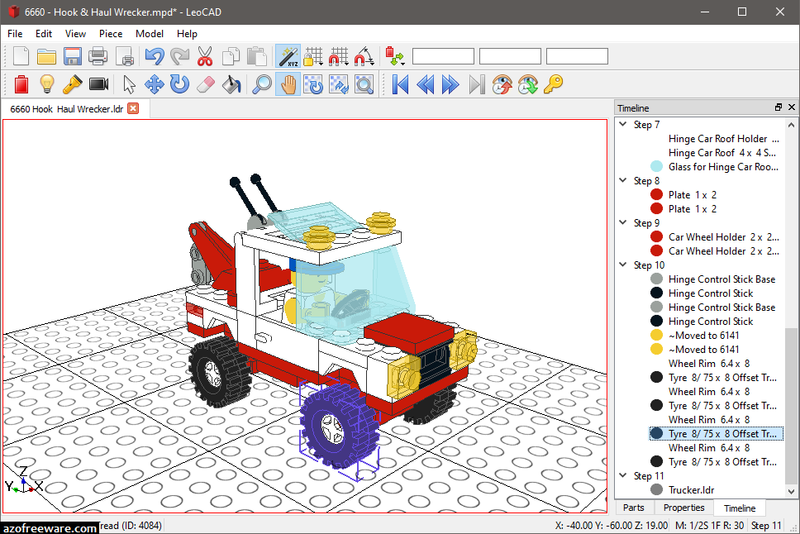 LeoCAD - Design virtual models you can build with LEGO® bricks. LeoCAD has an intuitive interface, designed to allow new users to start creating new models without having to spend too much time learning the application. At the same time it has a rich feature set, enabling experienced users to build models using more advanced techniques. LeoCAD is fully compatible with the LDraw Standard and related tools. It reads and writes LDR and MPD files so you can share and download models from the internet. It also uses the LDraw parts library, which has almost 10,000 different parts and keeps receiving updates.